London hard rock 5 piece KILLIT will be hitting the road this October to promote their current single and video alongside Diamond Head! The tour will kick off in Pontypridd at the Muni Arts Centre, hitting up the likes of Stoke, Glasgow, Edinburgh, Manchester, and more before wrapping things up in London at The Lounge (Camden Rock). The band will be performing songs from their debut album “Shut It Down”, alongside new tracks from a forthcoming album which is currently being recorded. With comparisons ranging from Guns n’ Roses to Alter Bridge, the band have had a busy 2018 with appearances at the Isle of Wight Festival, Stone Free Festival with Megadeth and Scorpions, plus Hard Rock Hell and a sold-out show at London’s Underworld. 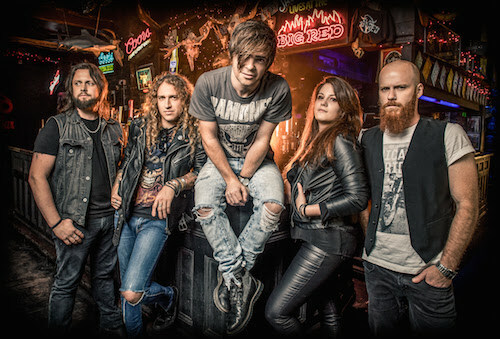 Released in 2016, “Shut It Down” has gathered over 100k views on their first single alone and had led to performances at Ramblin’ Man, Giants Of Rock and airplay on Planet Rock.